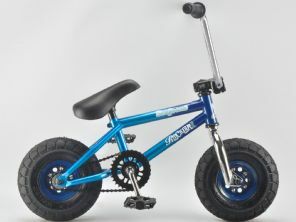 The Rocker IROK is the best compromise of affordability, performance & quality for those starting out in miniBMX. It’s RAD, fast rolling, adult proof and features many quality Taiwanese BMX components you won’t find on other so called ‘mini BMX’s. IROK’s are about having a blast with your mates and are clearly recognised and accepted as a global extreme & fun sport that’s here to stay!